One of the petty-though-many indignities of life in occupation is the proclivity of storekeepers to close shop at signs of trouble. Upon my arrival into Palestine, just straggling the anniversary of Israel’s establishment (known locally as “The Day of the Catastrophe”), two teenage boys had learned the hard way what happens when a crowd lobs the occasional stone at the Israeli military. Their bullet-ridden bodies brought the businesses of Palestine under the shuttered shade of mourning. Weeks later, my stomach was to learn the meaning of empathy when nearly all Ramallah’s restaurants, closed in “solidarity,” imposed on me the task of inadvertently joining a hunger strike. To live under military occupation demands that one perfect the art of preparing for the worst, and when the news broke of the three Israeli teenagers kidnapped from a West Bank settlement, I knew my hopes were dashed of finding a suitable pub in which to watch the World Cup. I knew this, for no sooner had the news ink dried than the Israeli military proved they had not lost their flair for unwelcome household visits. Within days, so-called “Operation Brother’s Keeper” brought raids of homes and charities, arrests of Palestinians numbering in the hundreds, and the body of one Muhammad Ismai’l al-Tarifi, shot to death on the rooftop of a nearby building. This was a sobering reminder that even modern-ish Ramallah—governed fully under Palestinian civil and security control and called by some “the Whore of Palestine”—more closely resembles another of its epithets I’ve come to learn: “five-star prison.” As I write, Israeli military vehicles are looming about the city streets, a presence which seems like just a slight frisson compared to the firebombs in Jenin. I can only speculate on the psychological horror show of having to live with the unceasing possibility that at any given time (and preferably at night), the soldiers of a foreign military can appear into one’s town and home, wielding machine guns. For the occupied Palestinians, this has become a banal and rote normality. This neither excuses nor belittles the moral terror of abduction. It does, however, imbue the “#LifeUnderTerror” agitprop campaign, lately launched on social media by the Israel Defense Forces, with an irony too savory to miss. The establishment of Israeli settlements, one must recall, was supposed to be a security measure in the occupied territory, and it was with this rationale that Israel defended the legality of its settlement enterprise. One looks on with an almost stultified gaze at the teenage settlers’ abduction, and the hysterical West Bank crackdown, and asks security for whom? It is difficult to imagine what security needs are sated by the civilian settlement of a hostile region, and even harder when it is precisely those settlers who seem so predisposed to catalyze insecurity. The perverse logic of the occupation, with its inseparable settler enterprise, creates the very conditions that allow it to continue. 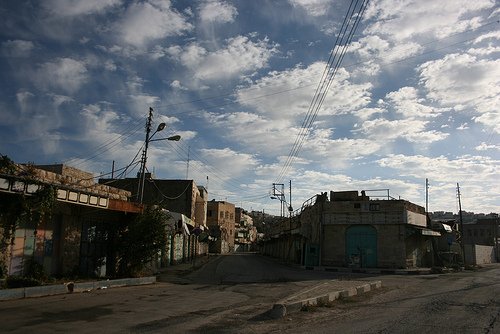 “It is indisputable,” wrote the Israeli Justice Alfred Witkon, “that in occupied areas the existence of settlements—albeit ‘civilian’—of citizens of the Occupying Power contributes greatly to the security in that area and assists the army in fulfilling its task.” With 4,000 soldiers stationed to protect 500 settlers in the city of Hebron alone, Justice Witkon invites his own disputing. To implant civilians into the shriveling land of a dispossessed and humiliated people is more than a symptom of myopia; to call it a security measure is a cruel reversal of logic. Incidents like the teenage settlers’ abductions and deaths only confirm what should have been already clear: the presence of civilians within occupied territory is its own security liability. The most odious thing, perhaps, about the whole affair is that it was not just entirely foreseeable, but also and even expected. Strategically, settlements serve the useful (if self-immolating) function of absorbing and containing attacks, earning settlers the unenviable reputation as “the real pioneers of our time.” With their presence all but amounting to a cynical sort of human shield—an analogy embraced by Israeli Justice Minister Livni—the endangering of Israeli settlers seems to have been the whole point. The settlement enterprise, of course, is well regarded as contrary to international humanitarian law. The most charitable rationale one can give in its defense is that security, in accordance with the Occupying Power’s international obligation to safeguard l’ordre et la vie publique of the occupied territory, requires settlements as a matter of military necessity. As per the words of Justice Witkon, that military necessity seems to mean simply having settlements there in the first place. Once one accepts this rather sinister conflation of civilian and military functions, the grim circularity of it all becomes clear. Someone has to defend civilian settlers, after all, and what better way to defend them than to implant more settlers? One day before the teenage settlers’ disappearance, I happened to be in Hebron, the besieged and divided Palestinian city just south of the Gush Etzion settlement bloc from which the settlers disappeared. One of them, Eyal Yifrah, attended yeshiva on Hebron’s historic al-Shuhada Street, either closed or obstructed for decades to its Palestinian inhabitants. It was on this embittered thoroughfare—rife with memories of the 1994 massacre of Muslims by the deranged Israeli Baruch Goldstein, still celebrated by some settlers—that I beheld the absurd sight of an Israeli settler and her toddlers strolling leisurely through the neighborhood, while simultaneously a group of Palestinians were subject to the humiliation of passing through a military checkpoint on their own street. Several blocks away, a once-open-air market lay cowering beneath a makeshift cage, erected by the Palestinian shopkeepers to block trash and other debris thrown down from the settler-occupied buildings. The threat to settlers’ safety cannot be divorced from this degraded condition of their neighboring Palestinians. One need not resort to the moral farce of victim-blaming to note that the privileged presence of Israeli civilians among a brutalized population is not the height of cautiousness. Couple this with the astonishing fact that settlements are built quite often and quite literally on the ruins of other people’s homes, and one has a recipe for resentment. And this is to say nothing of those instances, increasingly prevalent, of deliberate menacing and provocation by the settler population. Consider the northern governorate of Nablus, flanked by the hilltop settlement Yitzhar. The gentlemen of Yitzhar are known for their rather curious way of mingling with the Palestinian neighbors: defacing property, vandalizing vehicles, sabotaging infrastructure, setting fire to orchards and groves, and throwing stones at children. I had the great displeasure one morning of seeing their handiwork for myself; but I was lucky enough not to witness the settlers of Psagot open fire on the funeral procession of the man killed near my neighborhood. It is reasonably well-attested that as the safeguards of security in the occupied territory, the Israeli military has erred on the side of letting violent settlers have their fun—if not downright joining in. At its best, the institutional impunity afforded to these settlers can be seen as capitulation to the so-called “price tag” policy, a settler movement that seeks violent retaliation (against both Palestinians and the Israeli military) for whatever seems to bother the settlement enterprise. At worst, the military are perhaps the co-conspirators and enablers of this thuggery. Whichever the case, what we see is an occupation held hostage by messianic goons and miscreants, hell bent on provoking a Palestinian response that would only vindicate the narrative of settler insecurity. The cynical and nearly suicidal genius of these thugs is to exploit and to prolong a security measure that rewards its own insecurity. Knowing this, one cannot indulge with any moral seriousness the thought of settlement as a military necessity. Security is not just a flimsy pretext for the settlements; it is their best rebuttal. The presence in occupied territory of civilian settlers has imperiled occupant and occupied alike. With the logic of a racketeer, the very means by which Israel purports to enhance security—and thereby abide by its international obligation to secure the territory—is precisely that from which the territory needs protecting. I was rather pleased to see in the “#LifeUnderTerror” campaign a near admission of this fact. Even the military’s self-image as the biblical “Brother’s Keeper” calls to mind that Cain, the first brother in history to bear that burden, also had a hand in the disappearance of his. Citation: Jordan Calazan Manalastas, Occupation and Its Discontents: The Pretext and Pretense of Security in Occupied Palestine, 2 Cornell Int’l L.J. Online 105 (2014). See Evidence of Wilful Killing at Al-Nakba Day Protest, Al-Haq (May 24, 2014), http://www.alhaq.org/documentation/weekly-focuses/806-evidence-of-wilful-killing-at-al-nakba-day-protest. Palestinians held without trial in Israeli jails have engaged for the past few months in “the longest mass hunger-strike by Palestinian prisoners ever.” East Jerusalem Shuts Down in Solidarity with Palestinian Hunger-Strikers, Haaretz (Jun. 12, 2014), http://www.haaretz.com/news/diplomacy-defense/.premium-1.598478. See, e.g., Isabel Kershner, Israeli Teenagers Said to Be Kidnapped in West Bank, N.Y. Times, Jun. 13, 2014, at A6, available at http://www.nytimes.com/2014/06/14/world/middleeast/3-israeli-teenagers-said-to-be-kidnapped-in-west-bank.html?_r=0. See Live Updates: IDF Arrests 50 Prisoners Released in 2011 Shalit Swap, Haaretz (Jun. 18, 2014), http://www.haaretz.com/news/diplomacy-defense/1.599302; Al-Haq, Five Palestinians Killed with Live Ammunition Among Incidents Documented by Al-Haq’s Field Research Team as Part of Ongoing Israeli Operations in the West Bank 6 (2014), available at http://www.alhaq.org/documentation/mdd-reports/item/download/462_90a4eae7928e777fe7514aebe7803f3f. Oslo II divided the West Bank into three administrative divisions: Area A, governed by the Palestinian Authority (P.A. ); Area B, (2014governed civilly by the P.A. and militarily by Israel; and Area C, under full Israeli control. See Declaration of Principles on Interim Self-Government Arrangements, Isr.-Palestine Liberation Organization, Sept. 13, 1993, 32 I.L.M 1525 (1993). See Live Updates: 280 Palestinians Arrested as Search for Teens Enters Seventh Day, Haaretz (Jun. 19, 2014), http://www.haaretz.com/news/diplomacy-defense/.premium-1.599757. See Israel Defense Forces, Facebook (Jun. 14, 2014), http://www.facebook.com/idfonline. H.C.J. 606/78 Ayyoub v. Minister of Defense 33(2) P.D. 113 (reprinted in II Palestine Yearbook of International Law 134 (1985)). These are common approximates given by, e.g., Kathy Kamphoefner, Hebron Christian Peacemaker Teams, Apartheid Wall to Divide Hebron, Take Abraham’s Tomb (2003). See Merill A. McPeak, Israel: Borders and Security, Foreign Affairs (Apr. 1, 1976), available at http://www.foreignaffairs.com/articles/25576/colonel-merrill-a-mcpeak/israel-borders-and-security (describing settlements in Golan as buffers against attacks from Syria). Giulio Meotti, How Settlers Protect the Entire State of Israel, Israel National News (Aug. 27, 2012), http://www.israelnationalnews.com/News/News.aspx/159295. See Barak Ravid, Livni: I’m Sick of Being Politically Correct—The Settlements Are a Burden, Haaretz (Jun. 8, 2014), http://www.haaretz.com/news/diplomacy-defense/.premium-1.597630 (“Families with children in the settlements don’t have to be the human shields of the State of Israel.”). See, e.g., Legal Consequences of the Construction of a Wall in the Occupied Palestinian Territory, Advisory Opinion, 2004 I.C.J. 136, 140 (July 9) (affirming the unlawfulness of Israeli settlements in the occupied Palestinian territories). See Hague Convention (IV) Respecting the Laws and Customs of War on land and its Annex, art. 43, Oct. 18, 1907; United States v. Krupp, U.S. Military at Nuremberg (July 31, 1948), in Trials of War Criminals Before the Nuremberg Military Tribunals: Volume 9 1342–43. The Geneva Conventions affirmed similarly that imperative military or security necessities may permit the restriction of rights or the use of land in occupied territory. See, e.g., Geneva Convention (IV) Relative to the Protection of Civilian Persons in Time of War, arts. 27 & 55, Aug. 12 1949. See Mitch Ginsburg, Pain and Brotherhood at Kidnap Victim’s Hebron Yeshiva, Times of Israel (Jun. 19, 2014), http://www.timesofisrael.com/yeshiva-of-missing-teen-eyal-yifrach-opens-its-doors/. See David Shulman, Hope in Hebron, N.Y. Rev. of Books (Mar. 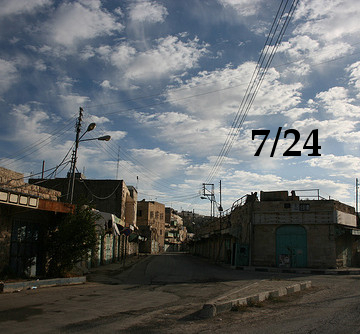 22, 2013), http://www.nybooks.com/blogs/nyrblog/2013/mar/22/hope-hebron/. See Edward Said, Further Reflections on the Hebron Massacre, Peace and Its Discontents 54, 57 (1996). See, e.g., Ronen Medzini, Sheikh Jarrah Jews Praise Baruch Goldstein on Purim, Ynetnews (Mar. 4, 2010), http://www.ynetnews.com/articles/0,7340,L-3857671,00.html. As of 2009, 21 percent of settlement construction was built on private Palestinian property. See B’Tselem, By Hook and by Crook: Israeli Settlement Policy in the West Bank 51 (2010), available at http://www.btselem.org/download/201007_by_hook_and_by_crook_eng.pdf. See, e.g., Amos Harel et al., Security Sources: 100 Followers of Racist Rabbi Are Behind Hate Crimes, Haaretz (May 8, 2014), http://www.haaretz.com/news/national/.premium-1.589469; Echoes of Gaza Strip Escalation: Settler Violence in the West Bank, Al-Haq (Nov. 30, 2012), http://www.alhaq.org/documentation/weekly-focuses/648-echoes-of-gaza-strip-escalation-increasing-settler-violence-in-the-west-bank; 2,000 Dunums of Fields Burnt Down: The Result of Settler Impunity, Al-Haq (July 27, 2010), http://clients.intertech.ps/alhaq/etemplate.php?id=533. See Israeli Settlers Open Fire at Mourners in Ramallah, One Hurt, Ma’an News (Jun. 22, 2014), http://www.maannews.net/eng/ViewDetails.aspx?ID=706919. See, e.g., Fact Sheet: Israeli Settler Violence in the West Bank, U.N. Office for the Coordination of Humanitarian Affairs (Nov. 2011), http://www.ochaopt.org/documents/ocha_opt_settler_violence_FactSheet_October_2011_english.pdf; Military Appears to Have Served as Security Entourage for Hilltop Youth, B’Tselem (Jan. 8, 2014), http://www.btselem.org/press_releases/20140108_settler_attack_in_urif. For a basic overview of the “price tag” doctrine, see Isabel Kershner, Radical Settlers Take on Israel, N.Y. Times, Sep. 25, 2008, at A14, available at http://www.nytimes.com/2008/09/26/world/middleeast/26settlers.html?pagewanted=all. See Human Rights Council, Report of the Independent International Fact-Finding Mission to Investigate the Implications of the Israeli Settlements on the Civil, Political, Economic, Social and Cultural Rights of the Palestinian People Throughout the Occupied Palestinian Territory, Including East Jerusalem, U.N. Doc. A/HRC/22/63 (Feb. 7, 2014), at 13 (“[T]he intent is to deter Israeli authorities from taking any action perceived to be against settlers’ interests while at the same time to provoke Palestinians into a reaction.”).